Genius Loci Games: Genius Loci on Save or Die. 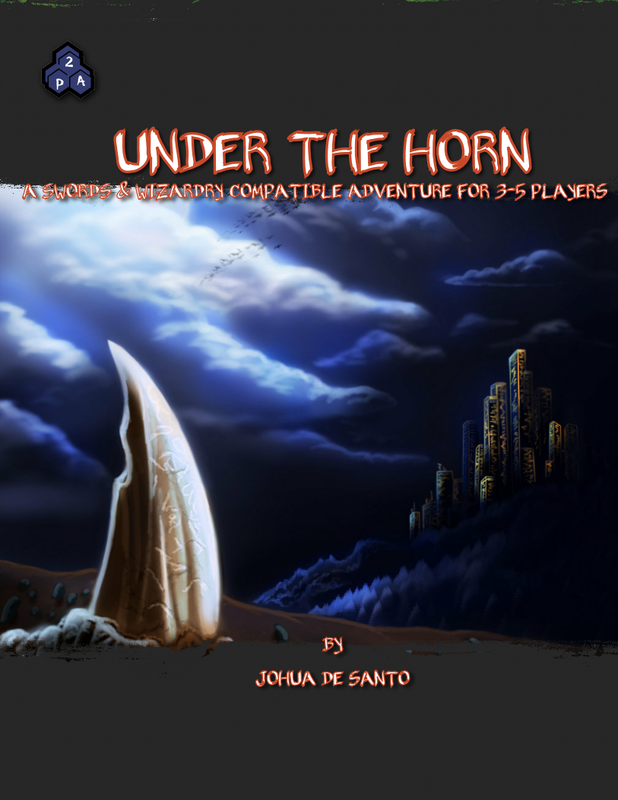 So the newest episode of Save or Die (episode 95: We Have Class) features my second Two-Page-Adventure "Under the Horn". The adventure ended up with an average rating of 3 Dragons and some issues that I never noticed or realized were brought up. 1. New Cover without the product blurb/adventure background. 2. Adventure Background has been moved to the interior before Adventure Set-Up. 3. Minor layout change in font, sizing and the addition of the King's Hunt Stockart by Fat Goblin Games. 4. Some rewording to make it clearer as to WHO the apprentice mages are. 5. Named the Big Bad of the dungeon to better reflect that he was a Big Bad as well as added some additional information that better links "Under the Horn" to "Joy in a Flask" and "Spectres of Usarm". 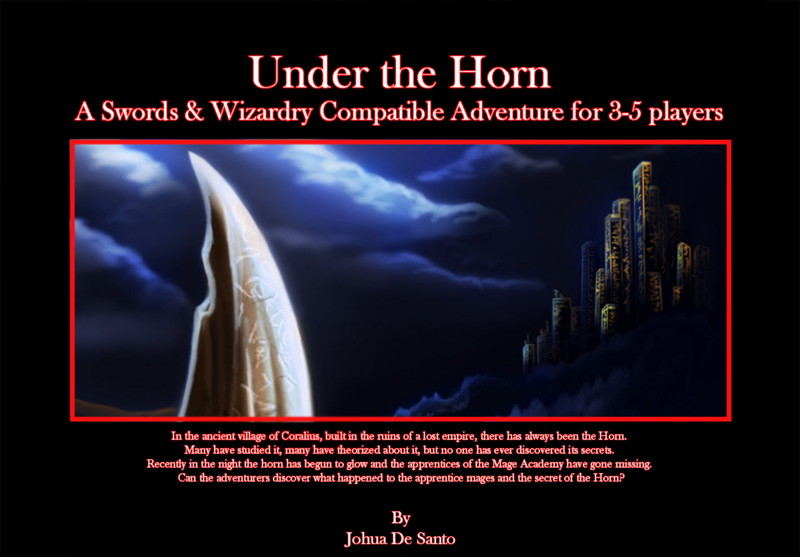 The adventure, like all my two-page-adventures is still in landscape format, but has been cleaned up a bit as to not be blurry at higher resolutions (Once again, I am loving my birthday gift of Serif's Page Plus X7). Art is still rather spartan in nature with the cover art by the recently renamed u369 (Now Deadguybeer) and the new new background piece. Here is a comparison of the covers old and new. Save or Die may do the other 2 pre-existing Fantasy two-Page-Adventures over the next year, so fingers crossed that I continue to pass my save vs. death rolls!